This past weekend marked my first double race weekend. I use the term “race” loosely for the 5K since I didn’t go out there with a true race mentality, knowing that I had a half marathon the next day. However, I didn’t want to miss this race for 2016 because it is one of my favorites. 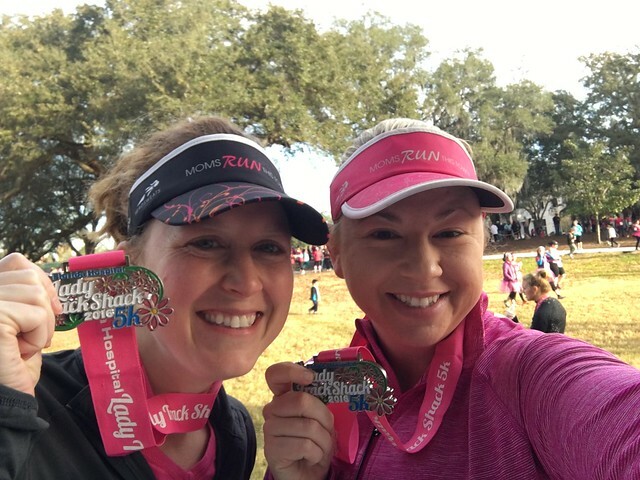 As you may have guessed, this race is only for women and proceeds go to help fund mammograms — awesome! I ran this race last year by myself and got a PR, so this race holds a special place in my heart. 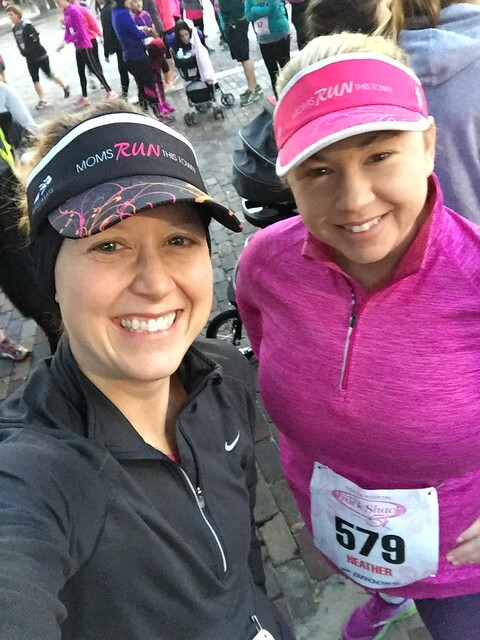 This was also Heather’s first MRTT meet up last year…if only we had known each other then! 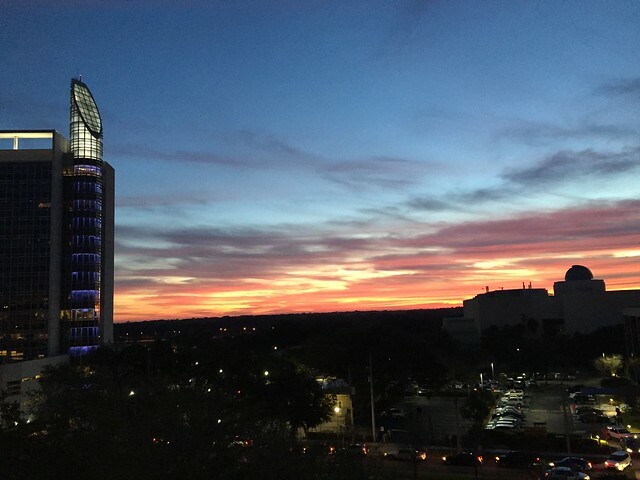 This year, there was a new location where we had to park in the parking garage, but it allowed us to get a glimpse of the beautiful sunrise. It was pretty cool before the race started, but I warmed up pretty quickly. The course was pretty crowded for the first mile, so it took a while to get into a groove. Even though it was only a 5K, I felt like we were running forever. It could have been because I was battling bronchitis and an upper respiratory infection during the week which left me with zero weekday runs. In turn, I was starting to get pretty nervous for the half marathon the next day. We finished the race, walked through the vendor tents, and got our free food. 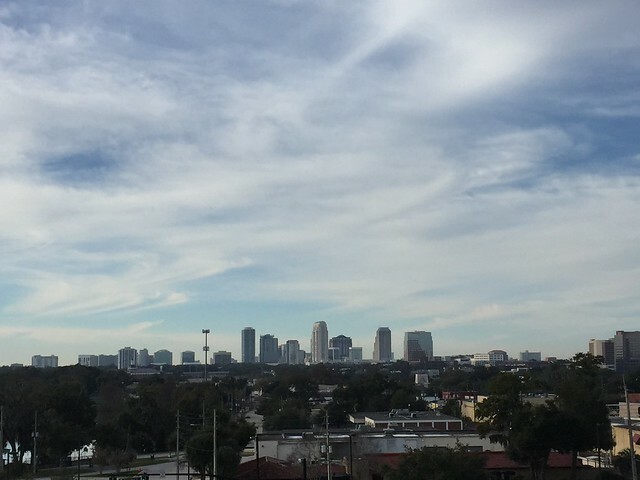 It was a gorgeous morning! 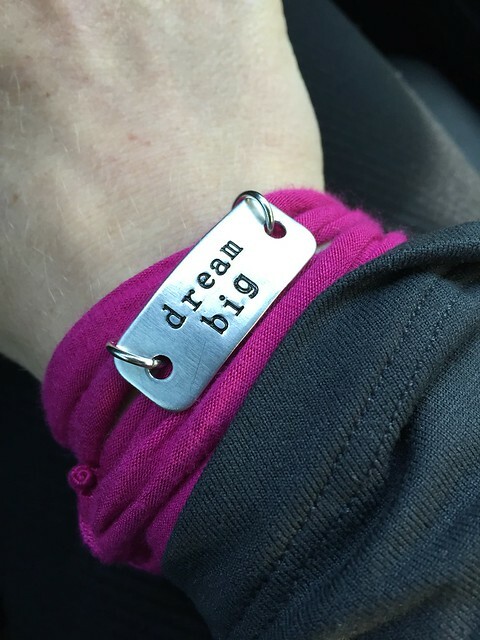 Instead of the tutu, like we got last year, we got an inspirational bracelet from Momentum Jewelry. Heather’s says “Live Joyfully” and mine says “dream big”, and we both thought they were perfect for us. We also got a sweet Raw Threads shirt and a cute medal…just a couple more reasons why this race is the jam! Overall, it was a great warm up run for our race on Sunday!